If the grassland yields sufficient mass, it can be ensiled. 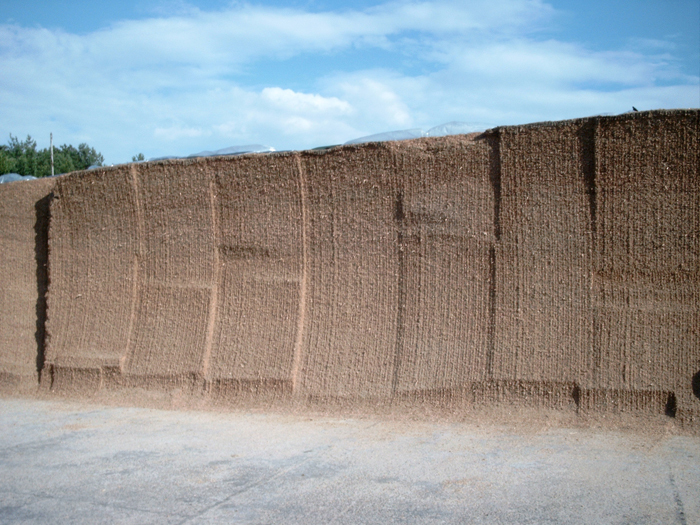 It is essential to ensure that the chop length is less than 2 cm, as the crude fibre content of this silage is very high. The cutting height should be 8–10 cm to limit soil warming. This cut can be ensiled without field curing. 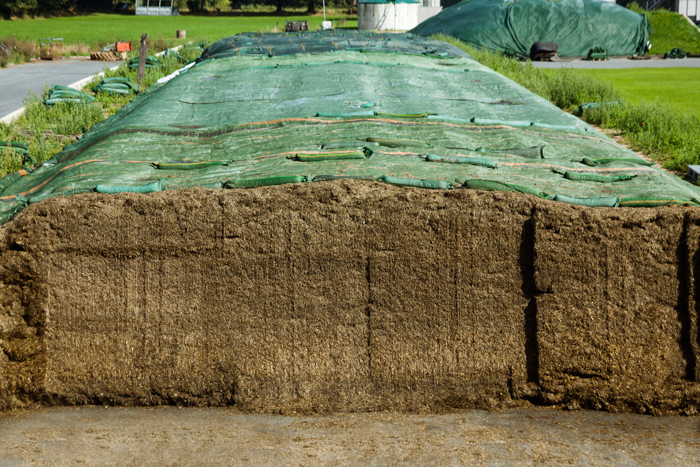 The use of BONSILAGE silage additives is indispensable if silage heating is to be prevented and the substrate, which is rich in crude fibre and low in sugars, is to be adequately compacted. For crops that are unsuited for ensiling, a pass with a mulcher is recommended before weed grasses start to flower. The Greenstar grass re-seeding mixture ensures that yields achieved in grassland crops are maintained throughout subsequent years. During dry periods, a pass with a pasture regenerator is recommended for strongly matted grasslands. Cleared arable fields are ideal for the cultivation of catch crops for forage. However, wilting of these crops for forage use is very difficult in autumn. The silage additive BONSILAGE FORTE helps control the ensiling process of moist, protein-rich substrates and prevents fermentation failures. The cultivation of catch crops to be fed to ruminants is also beneficial in terms of a balanced cycle of materials. Excess nitrogen has accumulated in the soil due to the drought and reduced storage of nitrogen in main crops. This nitrogen excess can be converted into yields by using a forage grass mixture, which also improves the fertiliser balance. Check heat-damaged maize crops and harvest them urgently if plants start to die off. Drought causes maize plants to develop small cobs or even no cobs at all, and it makes maize highly susceptible to Fusarium fungi (moulds and yeasts). Also, plants develop very high sugar contents under these conditions. The dry matter content in the vegetative parts should be 27–30% if good compaction is to be achieved. Using a silage additive is essential for high storage stability. The silage additive BONSILAGE MAIS is ideal for dry matter contents below 27%. For higher dry matter contents, use BONSILAGE SPEED M or BONSILAGE FIT M. BONSILAGE SPEED M allows silage to be opened up after only 14 days. This may be a decisive criterion in view of the scarcity of forage. The rapid formation of acetic acid quickly stabilises silage from stressed plants with high sugar contents. By-products may be fed in autumn and winter to economise on forage. However, special care must be taken regarding hygiene (storage and stabilisation) when using so-called wet feeds such as brewer’s grains or sugar beet pulp. Poorly preserved by-products may reduce animals’ feed intake. Also, consider nutrient contents and volumes used when putting together rations.